You’ve probably already invested in the latest software and CAM tools to create your moulds and the latest machines to turn sheets into 3D products and components. But what about printing? You’re likely to be using the screen printing process to decorate the products you create, or perhaps you’re even outsourcing this because you consider it to be a specialist process. Screen printing demands skill, is time-consuming and costly to set up. We know, because we’ve been making thermoforming screen inks for over 25 years. These days we apply our application expertise to create high performance products for digital printing. And now we have an inkjet system for thermoforming. 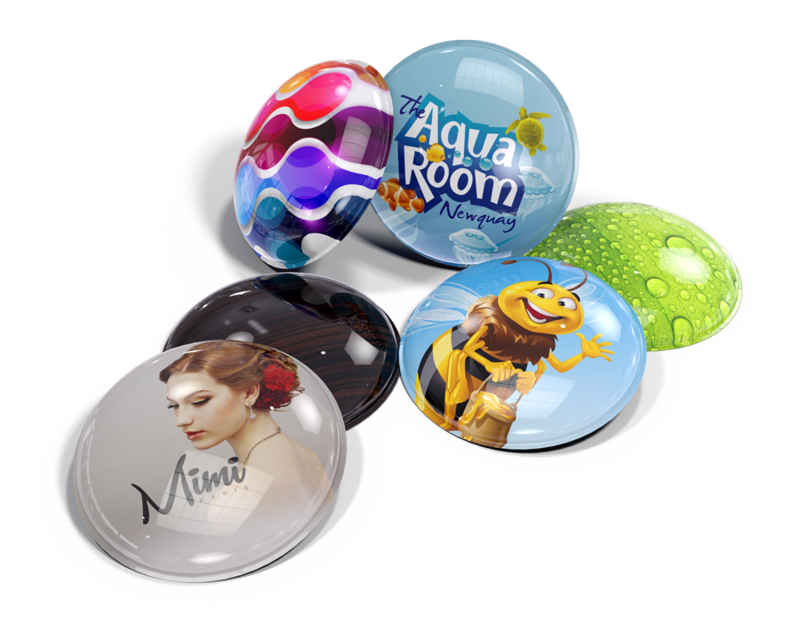 Inkjet printing opens up many creative design and customization opportunities for thermoformed products. 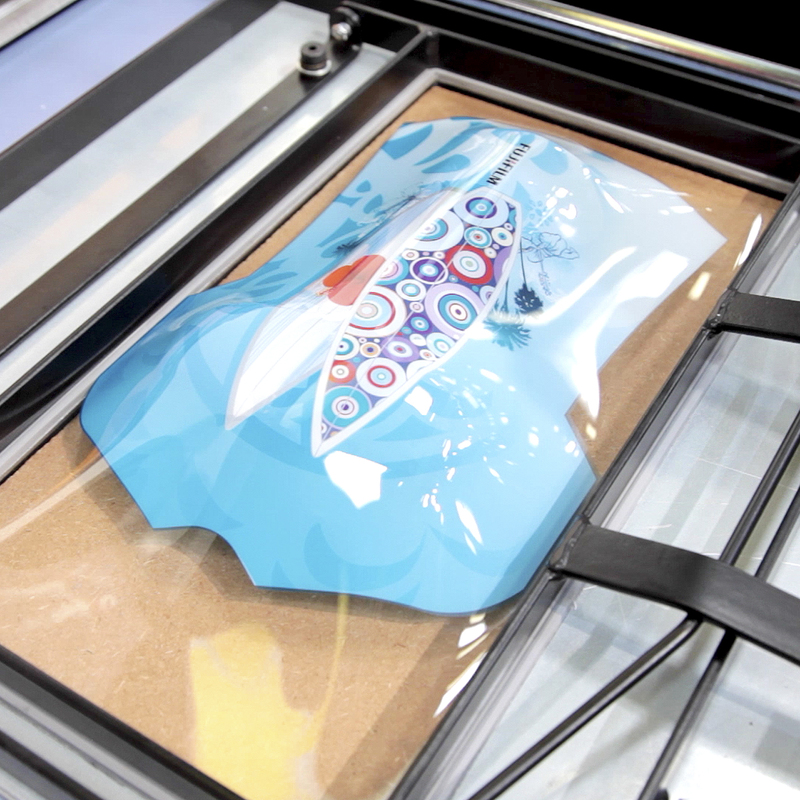 You can produce a one-off print in a matter of minutes and thermoform it straight away. You can produce a long run of prints, each with a slight variation in the design. The creative possibilities with this process are limited only by a designer’s imagination, with near-photographic image quality and a wide gamut of vibrant colours at their disposal. We’ve designed Uvijet KV inks to be extremely flexible, even after curing. They must heat, deform, then cool without cracking or flaking. 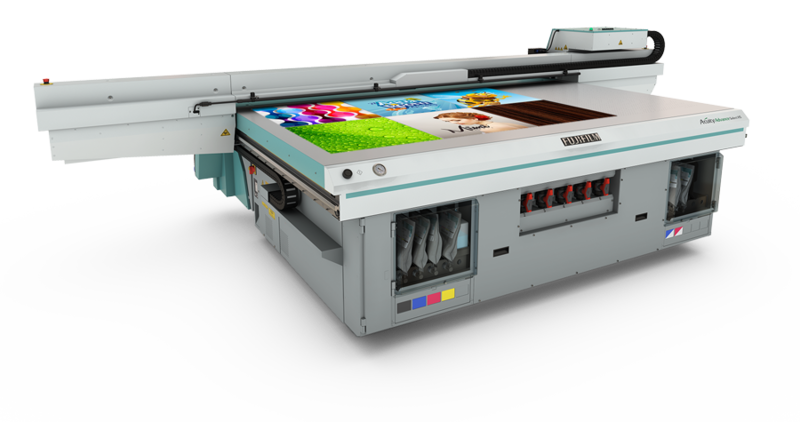 Uvijet KV was purpose designed for the Acuity Select and Select HS range of high-performance flatbed inkjet printers. Acuity machines form part of the most successful high definition mid-range printer platforms in the world, proving their reliability and owner satisfaction. Apart from the use of Uvijet KV ink, the Acuity printers used for thermoforming print are unmodified.